Performance documentation on video of the actions Un-Australian (Sydney, 2003) and BDH: A performance action by Mike Parr (Carriageworks, Sydney, 17 March 2016); photograph of the performance Malevich [A Political Arm] Performance for as long as possible (Artspace, Sydney, 3-5 May 2002). Courtesy the artist and Anna Schwartz Gallery. Mike Parr. Exhibition view of the performance documentation of the action BDH (2016, held at Carriageworks for the 20th Biennale of Sydney) at the III Venice International Performance Art Week 2016, Palazzo Mora. Photograph by VestAndPage. Mike Parr, Malevich (A Political Arm) Performance for as long as possible (2002). Photograph of the performance held at Artspace, Sydney, 3-5 May 2002. Courtesy the artist and Anna Schwartz Gallery. Mike Parr (born 1945 in Sydney) is an Australian performance artist and printmaker. 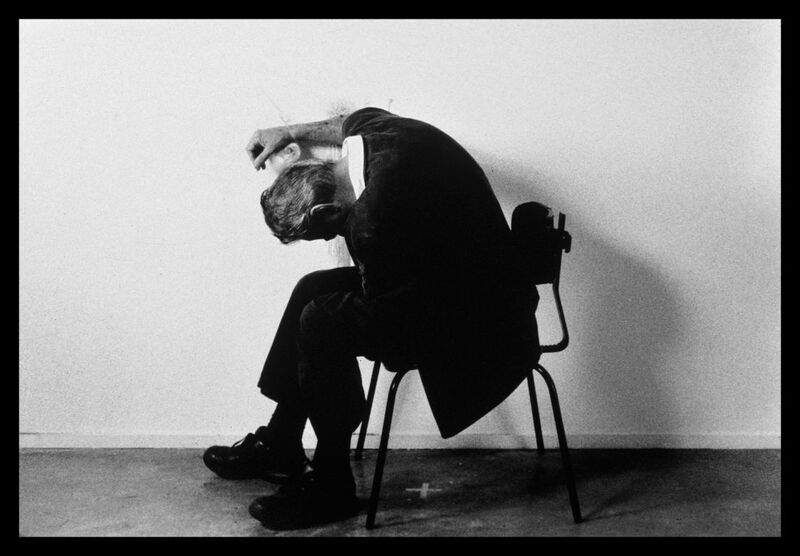 Emerging from a background of conceptual art in the early 1970s, Parr is renowned mostly for his performance works exploring the limits of the body, memory and subjectivity, which often depict self-mutilation or extreme physical feats art and are documented photographically and on video. He determined to pursue his career as an artist against the established art system and to do so on his own terms. Born with a severely misshapen left arm, this physical characteristic has featured within his art work. Parr's filmed performances are dominated by himself and drew attention to his disability, sometimes in violent ways. In 1977 he shocked his audience by suddenly chopping off his fake left arm which had been filled with meat and blood. From the early 1980s, disillusioned with performance art and by what he regarded as the 'photodeath' of its representation in film, Parr began to make large charcoal drawings of himself, using the self-portrait head to address questions of identity and representation. 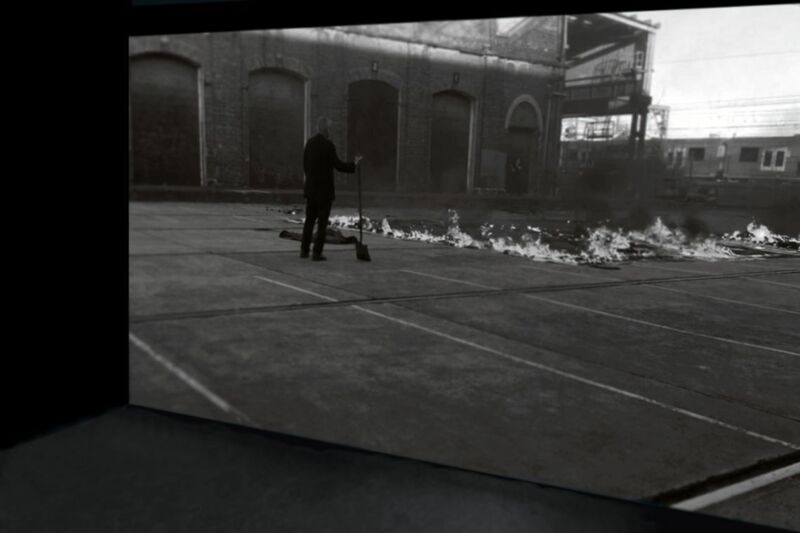 BDH: A performance action by Mike Parr (Carriageworks, 20th Biennale of Sydney, 17 March 2016), in which Parr burned $750.000 worth of his intaglio prints produced over 30 years, as a statement and protest against climate change, stating that "If we can't envisage a future the past doesn't matter." The photograph of the performance Malevich [A Political Arm] Performance for as long as possible (2002), presented at Artspace Sydney to protest Australia's treatment of asylum seekers; Parr sat in a gallery with his only arm nailed to the wall.